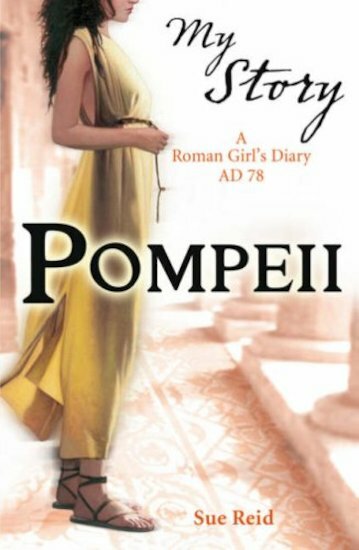 It’s August AD 78, and Claudia is at the Forum in the great city of Pompeii. It’s a day of strange encounters and even odder portents. When the ground shakes, Claudia is convinced it is a bad omen. What does it all mean? And why is she so disturbed by Vesuvius, the great volcano that looms over the city? A gripping story-diary that brings to life one of the greatest cities of the Roman empire – and the terror of one of history’s most cataclysmic disasters, which is still notorious today. I asked my dad to buy me this book because I adore My Story. He also bought me My Story: Suffragette. I decided to read Suffragette first – but when I had a look inside both, I found Pompeii much more intriguing, though I am more interested in the Suffragettes and especially the late Victorian and early Edwardian times. I can’t wait to read it! This Book was the first my story I had ever read and now I LOVE MY STORY BOOKS!!! This book is very believeble,you can get in to the book easly,just keep reading and you will get into the book it is so good,I think that you can be in the story,you can emagine what it would look like.